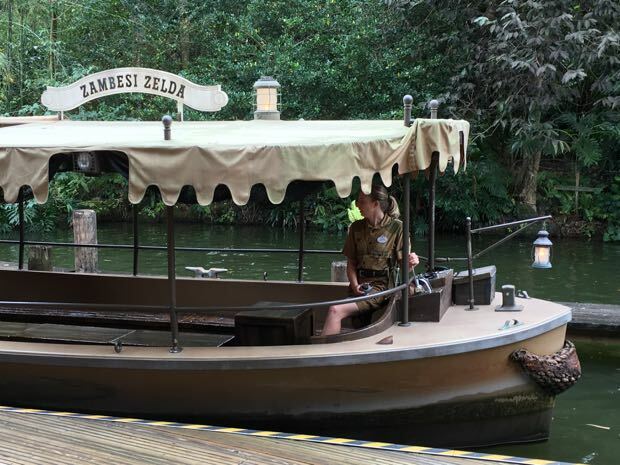 The Jungle Cruise at the Magic Kingdom takes you on a 10 minute tour of four continents. The early version of the Jungle Cruise was done without jokes and was based on Disney's True Life Adventure Series. More than likely, it wasn't very popular since this ride is now one of the funniest at Disney World. You'll board a boat with names like "Amazon Annie" with your trusted guide at the helm. While they all follow the same "shtick", the guides are what make this attraction so much fun, especially if they throw in a few ad-libs. Even when you've heard the same corny joke a thousand times before, you can't help but laugh. You'll pass through hippo infested waters, but don't worry, they'll only attack if their ears are wiggling (which they always are.) On the shore there's a rhino keeping the hunters "busy," lions lounging on a rock outcropping, headhunters, zebras, snakes and giant butterflies all amidst a tropical landscape that any jungle would be proud of. If you manage to stay dry by the waterfall, watch out for the elephants. Will they douse you or are you safe? 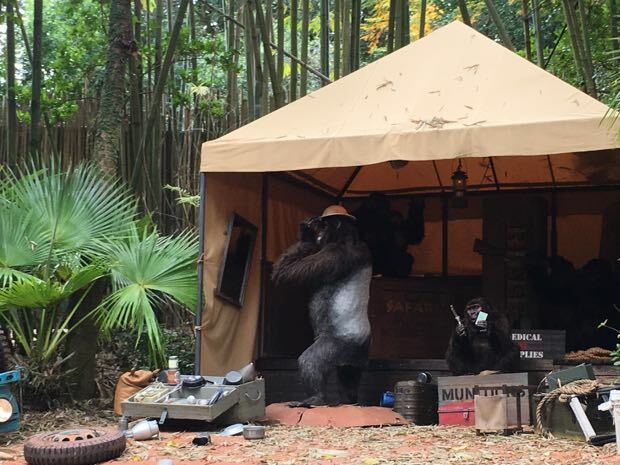 You'll only find out the secret once you've completed the Jungle Cruise. Eventually, you'll pass through a darkened Cambodian temple where tigers are watching over ancient treasures. Once you emerge from this tunnel, you head back to civilization. 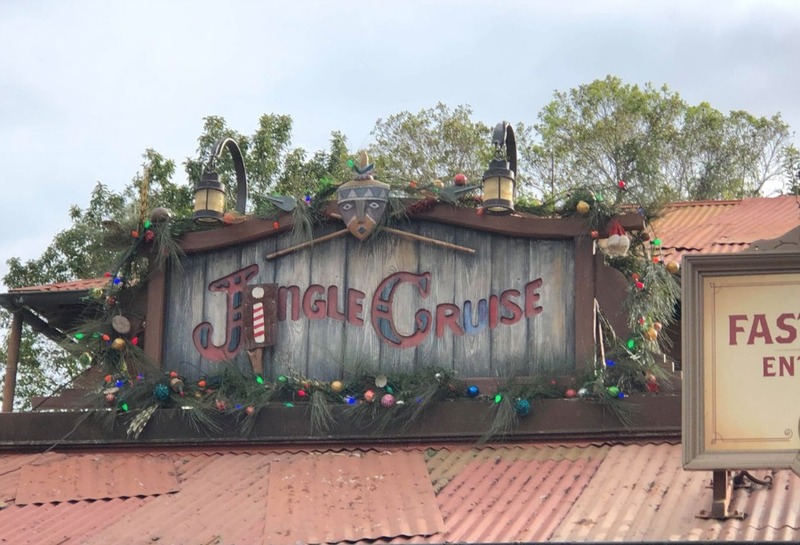 During the holiday season, Jungle Cruise receives a overlay and changes to 'Jingle Cruise' giving the classic attraction a festive vibe. The overlay can be seen in the queue as well as the attraction itself; the Skippers even have a new spiel that adds some fun holiday humor. Fastpass: Yes. If it's a hot day, you'll want to use this option. This attraction is outdoors and the queue, while covered, can get very uncomfortable. Handicapped Accessibility: The Jungle Cruise boats are relatively quick loading. Guests in wheelchairs or ECVs can remain in them. Sign Language interpreters for the deaf are available on special days. For more info, call the Sign Language Services Co-ordinator at (407) 824-5217. 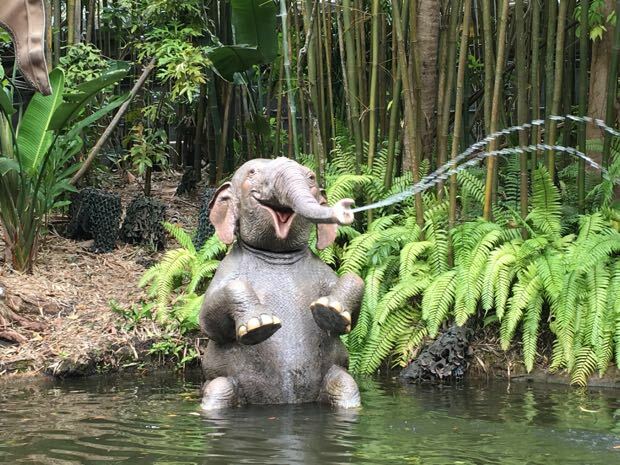 Fun Fact: Walt Disney originally wanted live animals to be a part of the Disney Jungle Cruise attraction. 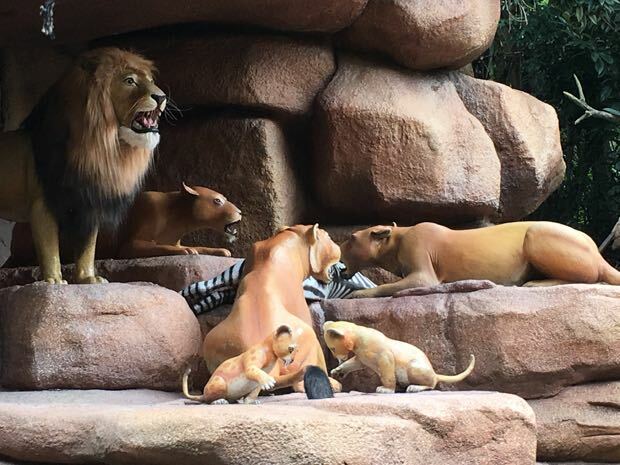 Once he realized that he couldn't control their movements, audio-animatronics were used.